I think the returns per annum is pretty decent, especially at those times where the Singapore savings bond is not even available yet. Those are the times when the interest rate is super low. In fact, so low that I am compelled to help my parents because their default action is to put into fixed deposit. I'm glad I didn't screw it up for them. 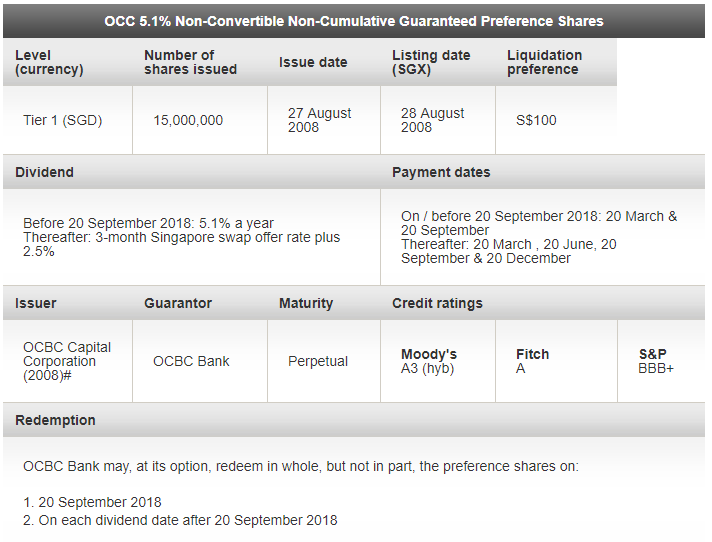 Tot OCBC '5.1%' preference shares should give '5.1%' yearly return. Apparently it is much lower. No no no. Its 5.1% pa only if you buy at the par value. Since I didn't buy at par value, the returns will be lesser.